ESO Supernova Exhibition — Are there plans for even bigger telescopes? Are there plans for even bigger telescopes? The biggest telescope in the near future will be the Square Kilometre Array – a radio observatory. But optical and infrared astronomers also dream of telescopes that are even larger than the Extremely Large Telescope (ELT). The far side: Numerous flat radio antennas make up a proposed low-frequency radio telescope on the far side of the moon. Looking up: The surface of a rotating pool of light-reflecting liquid mercury takes on a parabolic shape, creating a telescope that can only look straight up. Such a construction would fit perfectly in a lunar crater. 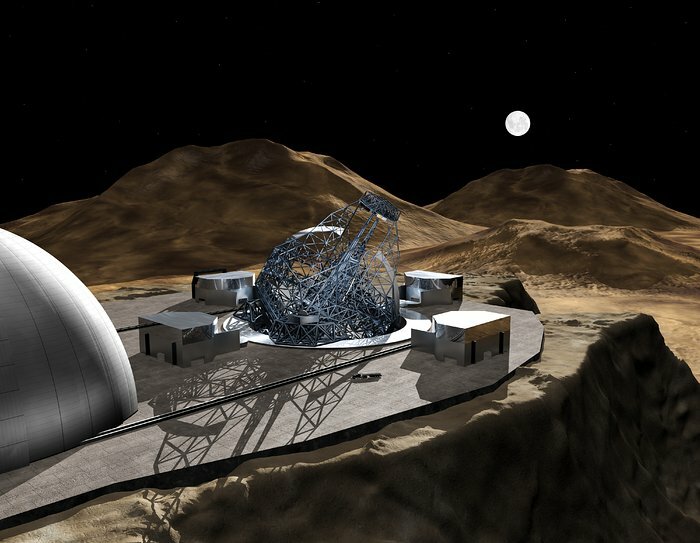 Dream telescope: In principle, there are no technological show-stoppers that would prevent the construction of a 100-metre OverWhelmingly Large telescope (OWL). 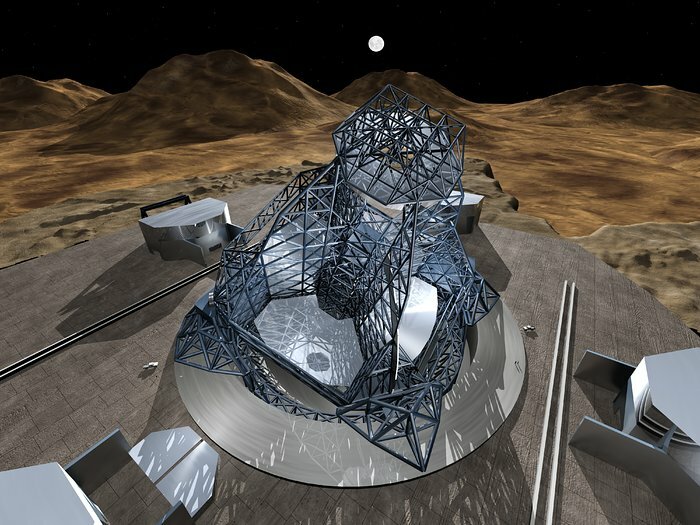 The segmented-mirror design of the 39-metre Extremely Large Telescope could be scaled up to much larger constructions. ESO engineers even began designing a 100-metre OverWhelmingly Large telescope (OWL); money is the single hurdle in actually constructing it. Meanwhile, radio astronomers are working on giant observatories like the Square Kilometre Array (SKA), and revolutionary designs have been proposed for telescopes sited on the far side of the Moon. Much has changed since the days of Lippershey and Galileo, but not the desire to build new telescopes that are bigger and better than the current generation. Radio colossus: The Square Kilometre Array (SKA) is a distributed radio observatory consisting of tens of thousands of antennas and relatively small dishes, spread out over Australia and South Africa. Scrutinising view: A 100-metre telescope would give astronomers their sharpest views of all sorts of astronomical sources across the observable Universe. Engineers have designed telescopes that are much bigger than the ELT. Suppose you could build a telescope as big as you wanted, what would you use it for?